The New York Stock Exchange is closed today for Martin Luther King Day and since I don't publish the EPJ Daily Alert when the NYSE is closed, it is a relatively lazy day for me. I slept in an extra couple of hours and put up the Venezuela price inflation post from home. 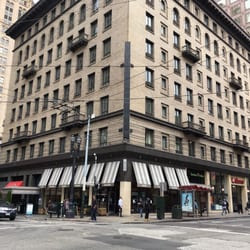 I eventually headed out, and before going to my office, I stopped at Bread and Coca on the southeast corner of Sutter and Kearny streets here in San Francisco for a large coffee and a bowl of steel-cut oatmeal. a family with kids jumping around. I didn't necessarily want to sit near them. There was a couple at another table speaking a Nordic (I think) language. And then there was a table with two men both of whom appeared to be about 80-years old. I wondered what two 80-year old men talk about in the early 21st century. I sat next to them. It was not difficult to eavesdrop on their conversation. They were speaking quite loud. After some time, it became evident to me from their conversation that one of the men, who had a passing resemblance to the economist Milton Friedman, was (is?) a professional actor who played roles in various commercials. One of the commercials he appeared in was a Volkswagen commercial that is apparently iconic. It shows different people driving up in Rolls Royces, limousines etc.to the reading of a will of a wealthy man who had passed away. One individual drove up in a Volkswagen. The building association president of the man I was eavesdropping on found the youtube clip of this commercial---or thought he did. He sent it out to everyone in the man's building. It turned out not to be the correct commercial. It was an exact remake but instead of a Volkswagen automobile, one person turned up on a Volkswagen bike. Apparently, said the man I was eavesdropping on, Volkswagen bikes are very popular in certain parts of the world. The other older gentlemen then asked, "Who did they get to play you in the remake?" There was awkward silence of a few seconds and then he said, "Well, uh, it's kind of weird, uh, the guy that played my role was really odd. Uh, uh, I think he was wearing lipstick." He went on, "But, I found the original youtube video and then called an Apple's Genius. I find Genius very helpful. He walked me through how to put a link in an email and I sent the correct youtube to everyone in my building." I finished my oatmeal and coffee and left.